I’ll let these speak for themselves. I don’t know what got into me this weekend, but I have been busy in the kitchen! I did the ricotta gnudi yesterday and tried these out today. Both are my entries in this week’s BSI contest being hosted by Jenna at Foodie In the City. Now, this is most definitely not an orthodox cheesecake recipe. I have seen it posted online on some weight-loss and low-carb forums and actually tried it out a few months ago. I decided to tweak it a little and add a twist or two. 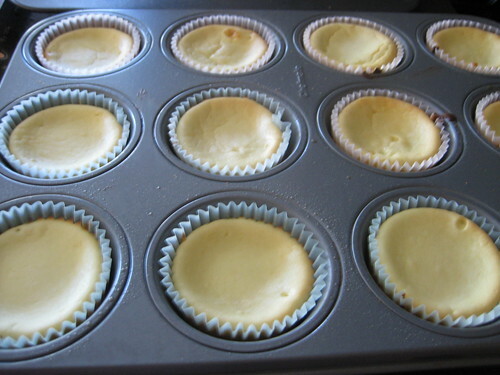 Place ricotta cheese, eggs, sugar, and vanilla extract in blender. Pulse to combine and then blend for a few seconds. Add neufchatel cheese and lemon zest, pulsing again to combine and then blend for a few seconds. Preheat oven to 350 degrees. 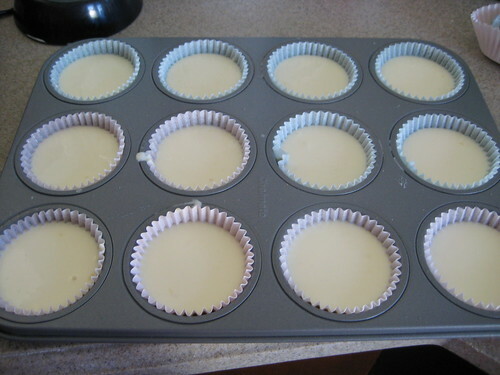 Line a couple muffin tins with cupcake liners and spray with cooking spray. 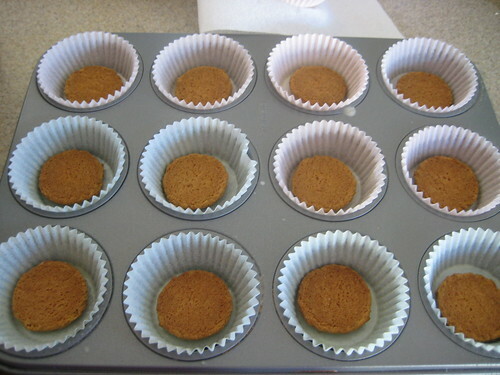 Place a gingersnap cookie upside down into each well. 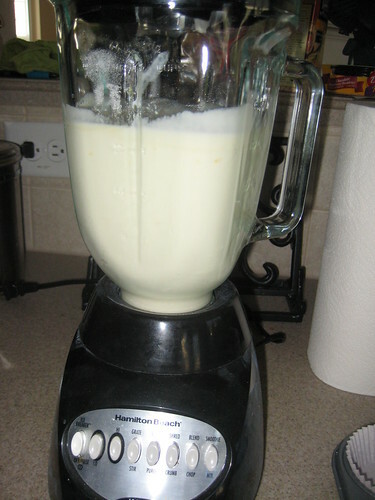 Use an ice-cream scoop or large spoon to put approximately 1/4 cup of batter into each well. I was able to fill about 18 wells. 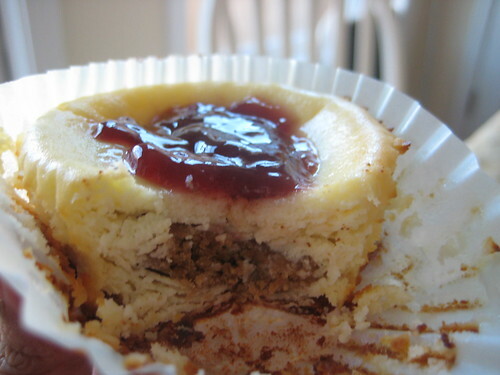 Let mini-cheesecakes cool. 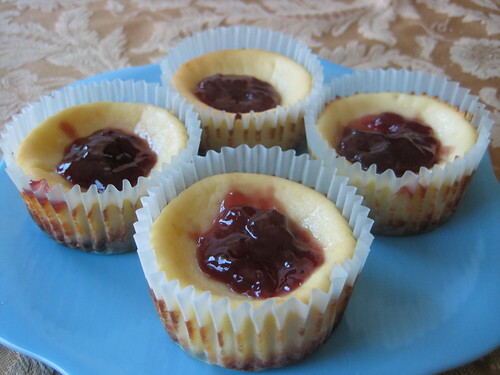 Place a dollop of raspberry jelly in middle of each mini-cheesecake. Yum those look really nice! !